Traditionally accounting has been treated as one of the dull and unexciting aspect of a business. However, as the business evolves the accounting department will become arguably one of the most important components in the success of that business. Accountants are perfectly positioned to be some of the most valuable informational resources in a company. They know the ins and outs of how the organization operates and are intimately acquainted with the organization’s current and projected financial position. It is critically important for the financial health of an organization to provide the accounting team with the tools they need in order to effectively monitor these factors. 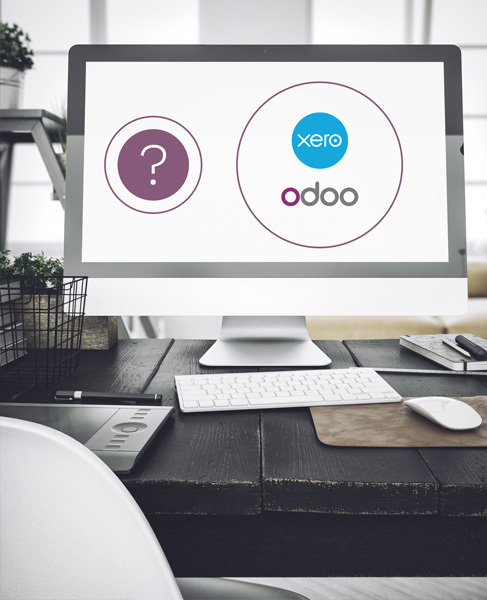 There are many accounting software offers on the market capable of providing the features and reporting functions accountants need, but where should the search for the best choice begin? Most growing businesses use a commercial management solution for their business operations. The ideal solution for these businesses would be to choose an accounting software that can be integrated with their current commercial solution. This will save a great deal of time and resources for the organization. Accounting software is available either installed locally or through a cloud service provider. While both types of software have their own unique advantages, online offers are becoming increasingly popular choices amongst small and medium size businesses (SMBs) given the simplicity and low cost of implementation. 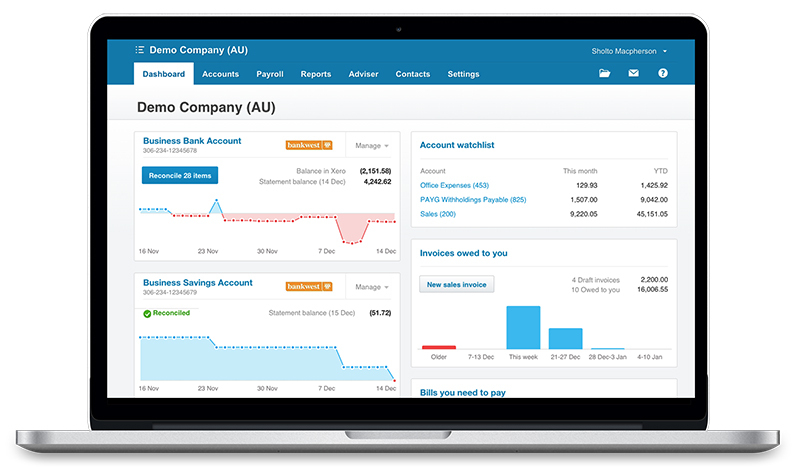 Xero was founded in 2006 in New Zealand by a business manager and accountant. 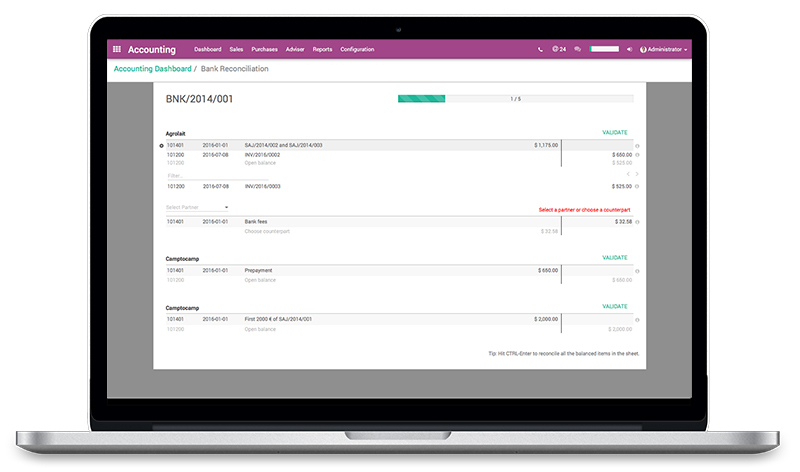 They weren’t happy with the traditional desktop accounting software, so they decided to develop their own web-based solution. Since then, Xero has grown to accommodate European and US markets as well as expanded it’s features and mobile functionality. In 2014, Xero was featured on the Forbes 100 Most Innovative Growth Companies. 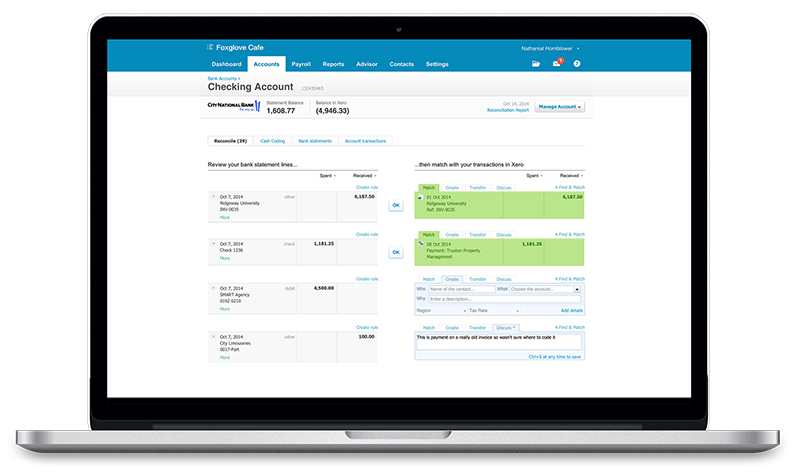 Xero is available only through their SaaS offer. Customers choose from one of three plans: Starter, Standard, or Premium. For this comparison we chose the Standard Plan of Xero. When it comes to efficiency and end-user satisfaction, fine-tuned usability is one of the most important factors in any software platform. This is especially true of accounting software, as the end user might spend the majority of their time working within the software. In order to provide functionality, speed, and convenience to an accounting team, a software solution must maintain a balance between ease of use and a robust set of features. The user interface supports the overall product design in deciphering human factors such as preferences, habits, and learned skills in order to effectively serve the intended purpose of the software as it relates to the businesses that utilize it. A strong functional design is critical in providing a positive user experience and maximizing user efficiency. Usability is qualitatively measured as a software’s ability to anticipate what a user might need to do. This includes ensuring that all of the elements in the interface are easy to access, understand, and use. Well designed software establishes familiarity by maintaining a consistent interface and predictable interactions throughout so users feel comfortable with the system, allowing them to complete their desired tasks quickly. It will help users perform actions quickly as well as become more efficient in their day to day tasks. Best practices also suggest having a simple interface with consistency (common elements) and a page layout based on hierarchical importance and flow. The selection of a software solution is a process which, if undertaken with scrutiny and a willingness to obtain as much information as possible, can result in a huge increase in efficiency amongst your team. No single factor (cost, number of features, UI) is the most important, but rather a balance of many interdependent factors. Which factors are really important for your business? Is your planning focused around budget? Integration with third-party apps? Are you looking for software that simplifies your accounting or do you have an accounting expert on staff that needs a powerful solution? Proper balance between all these elements will lead to optimal end results when selecting the accounting software that suits your unique business needs. 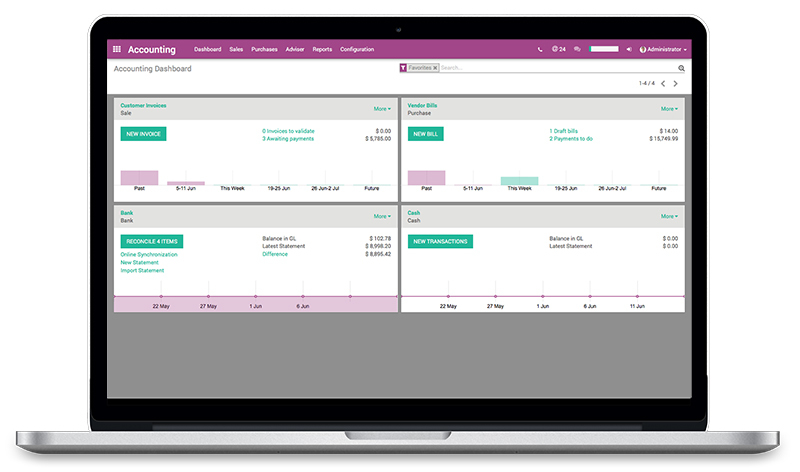 In order to select the best accounting software for your needs, it is also vital to weigh the desired benefits against the management team’s constraints while also considering the accounting team’s day to day operational needs. The most fundamental goals for any decision maker are to grow the business and support the teams which makes the success of your organization possible. As collaboration is the key to success with any team, it is beneficial to choose a simple and user-friendly solution which will help your colleagues to work quickly and effectively while avoiding the need for expensive and time consuming training sessions. So whether you are a small startup comparing accounting solutions for the first time or a large enterprise thinking about changing your current software, the information in this document will help you compare the most important aspects of each accounting solution to help you find the software that best works for you.